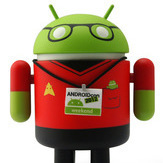 Here is my most recent Star Trek custom with the help of Liney. She is still something of a WIP but she is almost finished. I am going to touch up her hair and work on the head a little but she won't look much different than she is now. The Salt Vampire from "Man Trap"
I will be working to get updated images of my "Children of Oberon" posted as well as updated images of my version of The Land of Oz characters. I do hope to also be getting time to photograph my King Arthur and the Knights of the Round Table customs I have been tinkering with as a follow up to my "Children of Oberon" set. I do have still in progress a couple of characters from the tv show "Once Upon A Time" but time is getting tight so may have to postpone again any advancement on those customs. I did squeeze in a custom for the current contest and have posted it in the thread but here he is on my thread. 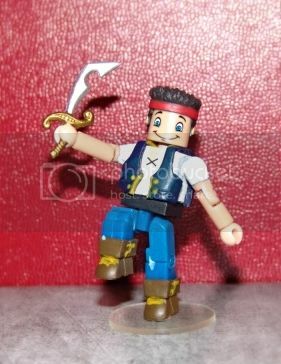 Jake from Jake and the Neverland Pirates. Will try to get more posted as soon as I can. Thank you. Really love that Jake! It looks spot on. Glad to see the Salt Vampire worked out well. I'm still making some tweaks on my recipe. What feet did you use? 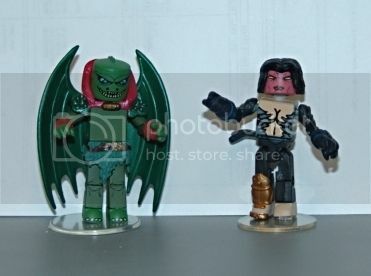 For the Salt Vampire I used King Pin's chest block (without the chest piece) and arms (without the hand pieces); the legs and hip piece were from a white blank I found that did not have a chest block. 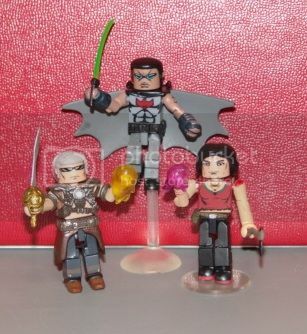 The loincloth is from Moloid and the hair piece is that form the Architect Ghost (Messy Hair Piece that Luke sold at one time, also think it is the same mold from one of the Sentry figures). The hands and feet are from "The Creature from the Black Lagoon, which I happened to get and extra from eBay so I could part him out. I used Liney's decals for the chest, back and face. I mixed a very small drop of grey paint with white for the hair. I kept the shoulder pieces on the arms to make it look bulkier since the creature was larger when it was not taking the form of a human or such. I know the feet in the episode are not green but I was thinking if the hands and face have a greenish color then the feet should as well. I took a creative license with how my made my custom. I still want to paint the bottom of the head piece and the sides of chest where the decal makes you think it should be covered. Thank you for the nice words and being told my recipe was going to be stolen really made me feel like I did some good. Thank you. I decided to go with Pestilence over Conquest because more people are familiar with Pestilence. Pestilence is a symbol of all the illnesses that will wipe out a fourth of all life when the Apocalypse is upon us. War appears to be the largest but that is merely his armor, he is the one who will wipe out a fourth of all life with the battles, bloodshed and spoils that come with raging war. Famine is the symbol of what it is like to be so hungry it kills you. This version was so hungry he started to eat of himself. Famine will cause yet another fourth of all life to die. I have done a few modifications and so now I am sharing all my Children of Oberon customs. The female Wraith I just made because I liked the idea of a new character to the line and gives Titania a henchwoman of sorts. 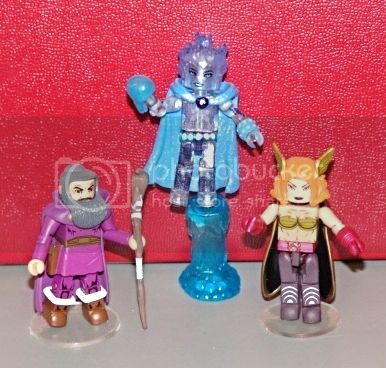 This should be all my "Children of Oberon" customs. I hope you like them. 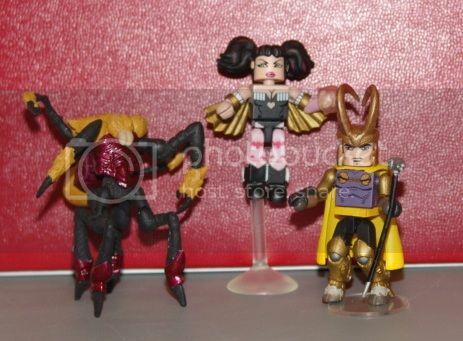 Sleipnir is the only one that I have not made a custom for because there is not a horse for minimates yet. I hope to get my updated "Once Upon a Time", Arthur and the Knights of the Round Table, and "Revolution" customs photographed soon and posted to share. I am also working on a group I am calling The M.I.S.F.I.T.S which I will say are inspired by Prowl-AR. I am even working on a group of rivals for my M.I.S.F.I.T.S. and also working on a name for them. Still working on my "M.I.S.F.I.T.S." This is short for Multiple Individuals Somehow Fractured in Time & Space. I am working on backstories and a name for their rivals. I am having the setting be something like the Phantom Zone or Limbo. I am trying to figure out how I want his realm to function as I don't want any of my characters to have guns or electronic device. Most of my characters will have all been pulled from the same date in history but have no real connections other than I will have two characters be related in some fashion or another. Any ideas you can share about what I could name the rival group will be taken into consideration. Hey, Life got in the way of some of my free time over the summer and such. I have been working off and on making some customs. I have a group I am calling the Furies. I have nine female warriors of sort. Three with a blue theme, three with a green them and three with a red/black theme. 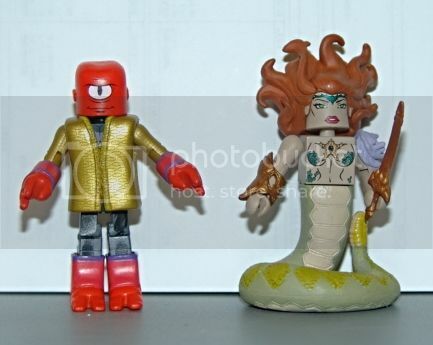 I also have four custom battle beasts. A Leopard, a Gorilla and a Worm. I also have a Pterodactyl. 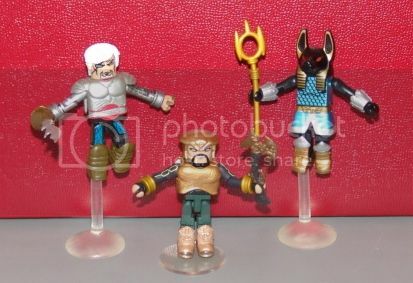 I was so wanting the new series that was cancelled as I want a Minotaur. But I may try to make one from Mooby. I also have been working on a group of Elemental Mates: Earth (Terra), Fire, Wind, Water. I also have Flora and Fauna. I am still working because I may come up with more to interact with these. I am still working on my Once Upon A Time customs. 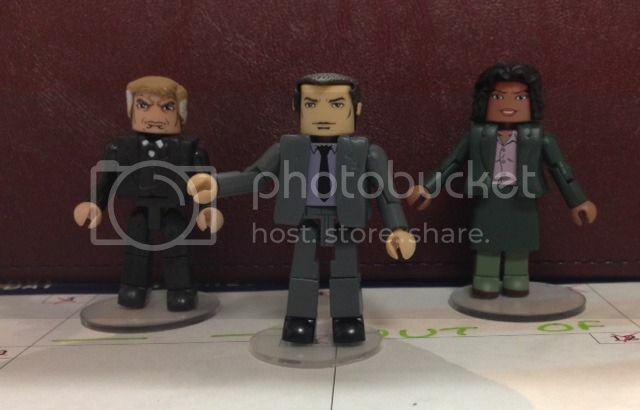 I am no longer working on my Revolution customs since the show ended (which was a terrible ending). I am also working on the Collector from Guardians of the Galaxy. 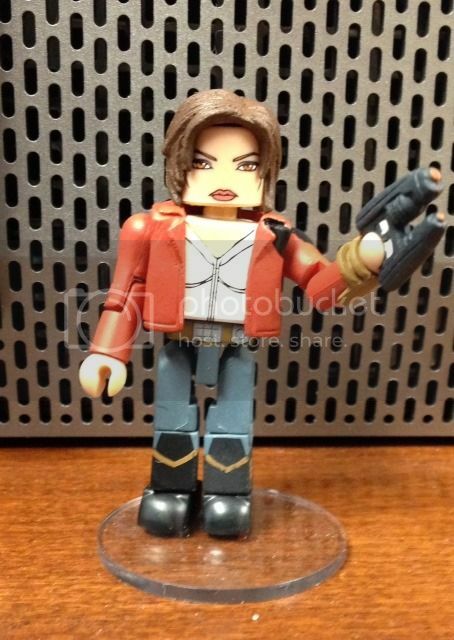 I did a quick custom of Star-Lord with his open coat. I also hope to make a better depiction of Jesus using the Buddy Christ. I am working a small line of customs for a Charity Organization I am on several committees for and hope they raise some money. 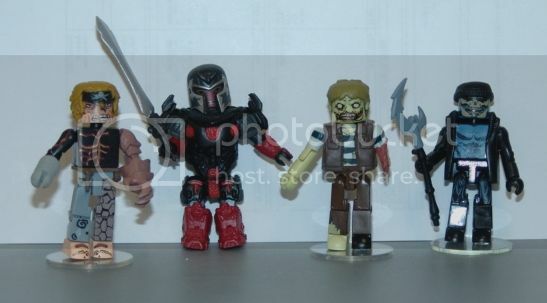 Minimates always seem to sell out at my local TRU so I figured it may be a good item for some fundraising (with a HUGE THANK YOU to Luke). I hope to get more time this fall, but work has been steady. 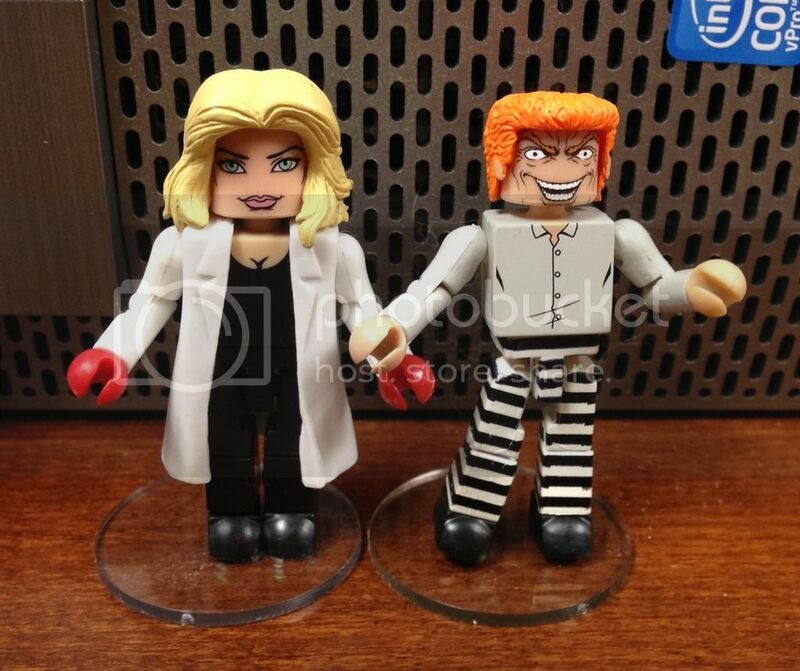 I wanted to try to make some GOTHAM themed customs as place holders for the ones we may be getting very soon. These are all quick customs from the parts I had on hand. For Bullock, I took a creative license and tried to blend the classic image and the tv show image. I used Dante's blue hair piece and sharpied it to resemble her hair on the show, but I wanted her outfit to mimic a collage of what she has worn on the show but could not find a pant suit like she has had in the last few new episodes. 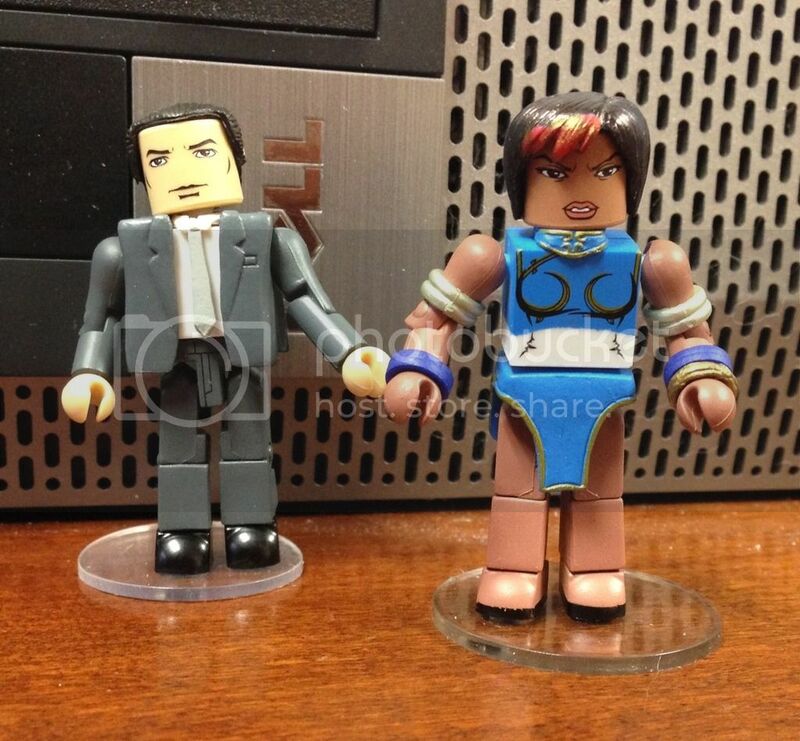 Not too many African American Female Minimates to choose from for parts. Once the official mates come out I will disassemble the ones DST makes and use the parts for some other customs. 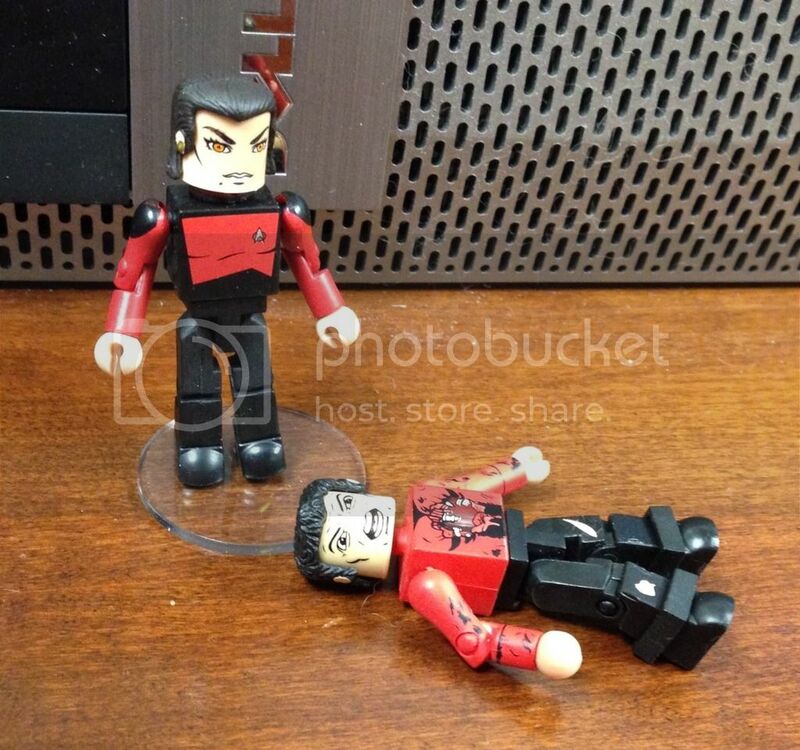 I also took Matty-lad's ideas and made TNG Ensign Ro and a Shot Red Shirt from TOS. 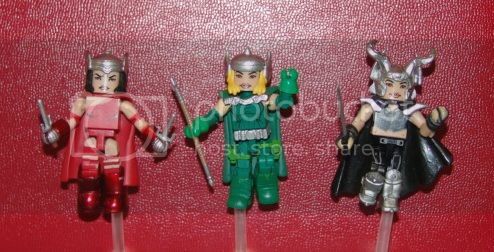 And I was tinkering and made what I think would be a great look for the new Female Thor as well as her sister Loki. 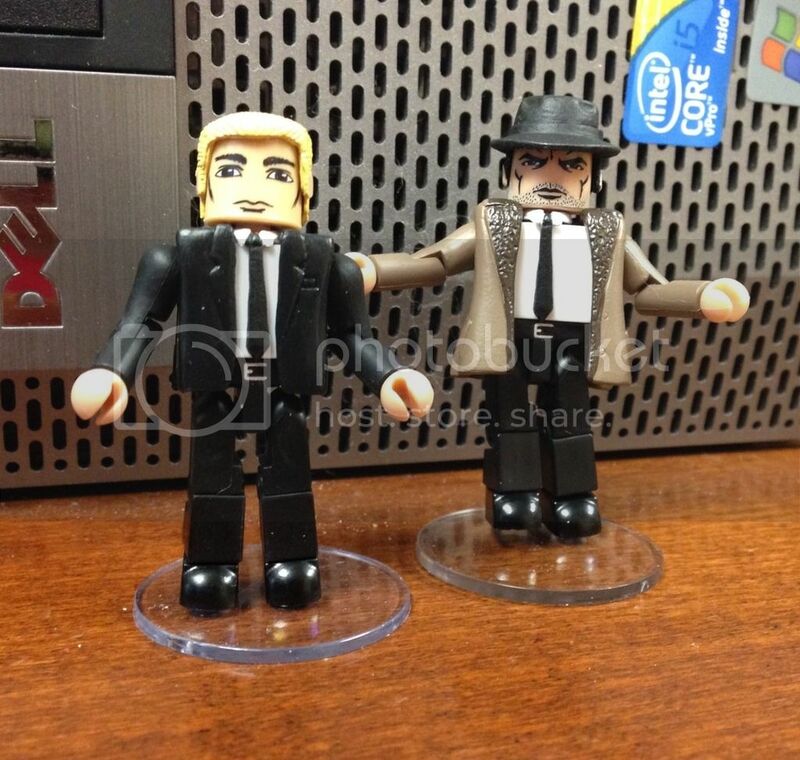 Also, I do have an Alfred Pennyworth and an Oswald Cobblepot to post at another time. 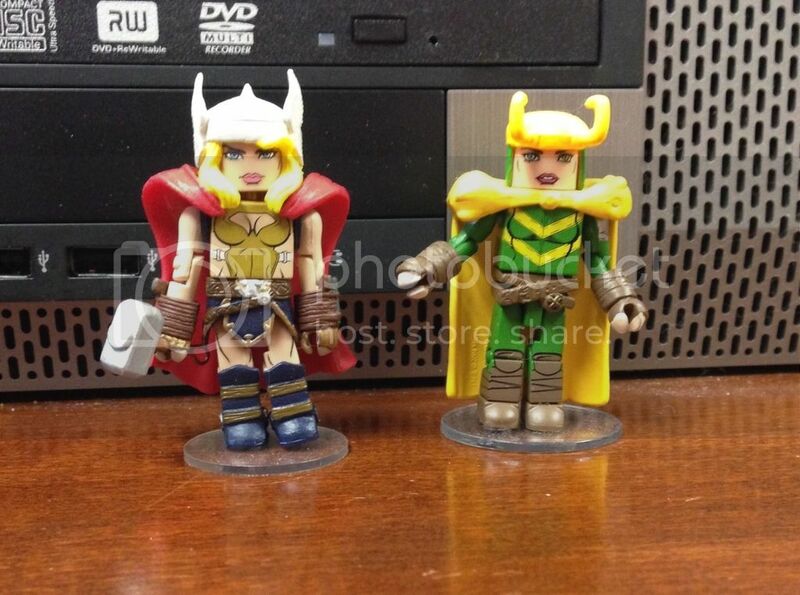 FemThor and FemLoki both look great! Plus, that shot Red Shirt is brilliant! I also took the idea to make Ensign Ro from TNG and a Shot Red Shirt from TOS. I still need to work the nasal ridges on Ro but while I was posting images I figured I would share. I appreciate the idea shared by Matty-lad. I hope you don't mind I took it and recreated it. Of course I don't mind. I'm just happy someone liked my ideas. I'm not sure what I'll do about the ridges myself. 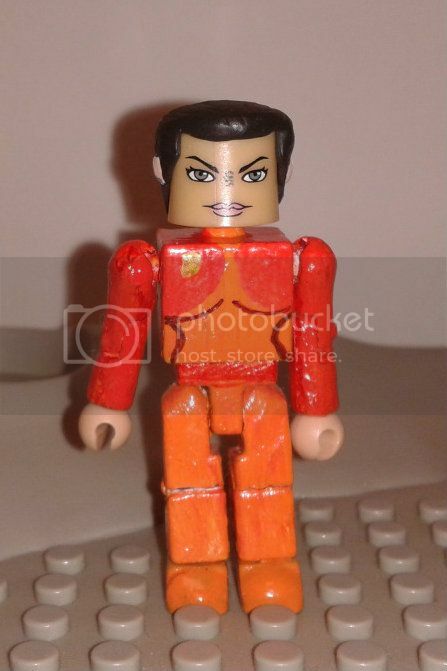 Marty-lad I drew nasal ridges on my custom Kira Nerys so now just have to do that for Ro. that fish custom is boss haha. 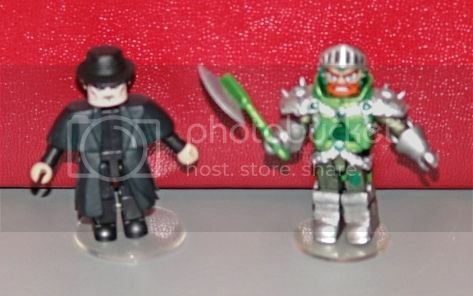 i also made some gotham customs before they announced official ones. 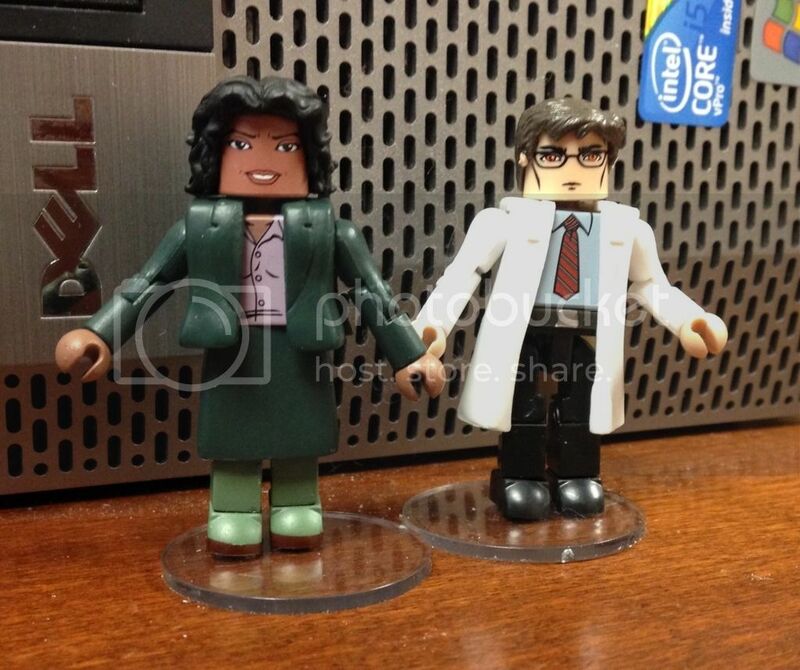 I have been tinkering with my Gotham themed customs. 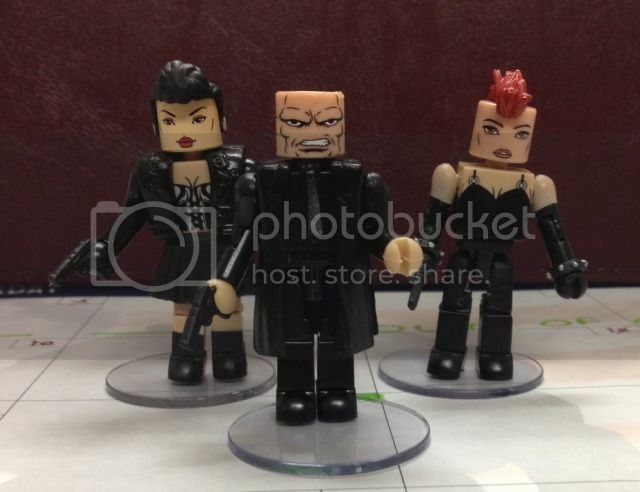 I am trying to work on the third henchwoman for Zsasz. I am also tinkering with Fish in her with attire on the island of the Doll Maker. I will not do Bruce, Selina or Ivy at this time because there really aren't the parts in my supply at the moment. I think its TRU Absorbing Man's head. I think it is a face from the most recent Absorbing Man. The only part I did any retouch of something different to is the hair for Fish. I did not mind because it was from a Dante hair piece (the blue one) I didn't think I would use for anything and I have another one of it as well. I am trying to keep the colors mute and drab which is the vibe of the show, but Fish got the blue dress because I was merely doing QC form parts on hand. 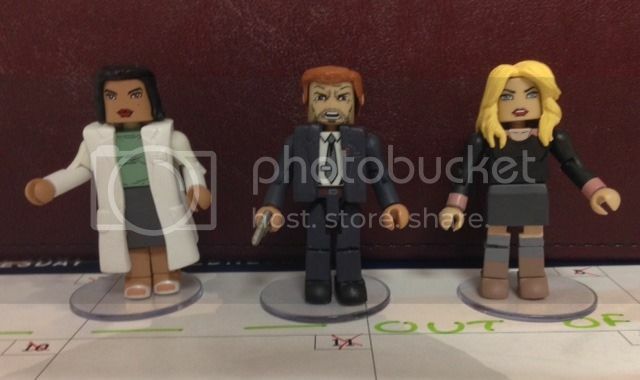 I may still alter Flass with the head from Mayor Rick Grimes but I really like my version of Bullock while I do know it is not show accurate. 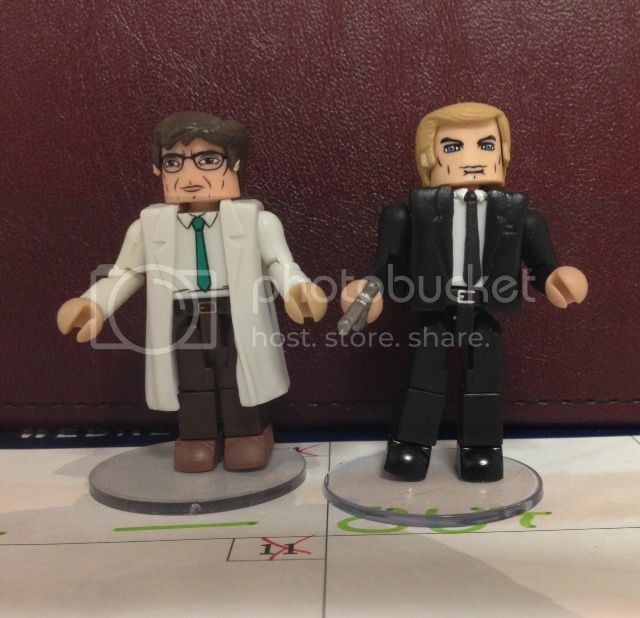 If I get enough parts I may try to do Bruce, Selina and Ivy but I am not sure. Okay, So I have be tinkering with Goblins. I shared some already but here are all the ones I have tinkered with. 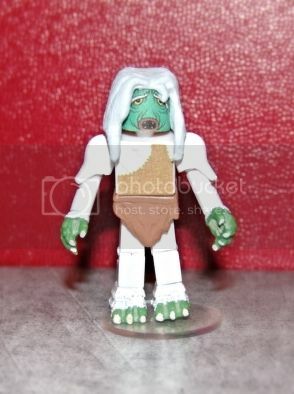 This is the Goblin from the Boxset with a cape and an axe instead of the sword he comes with. Then the two Munchkin Goblins I have modified. 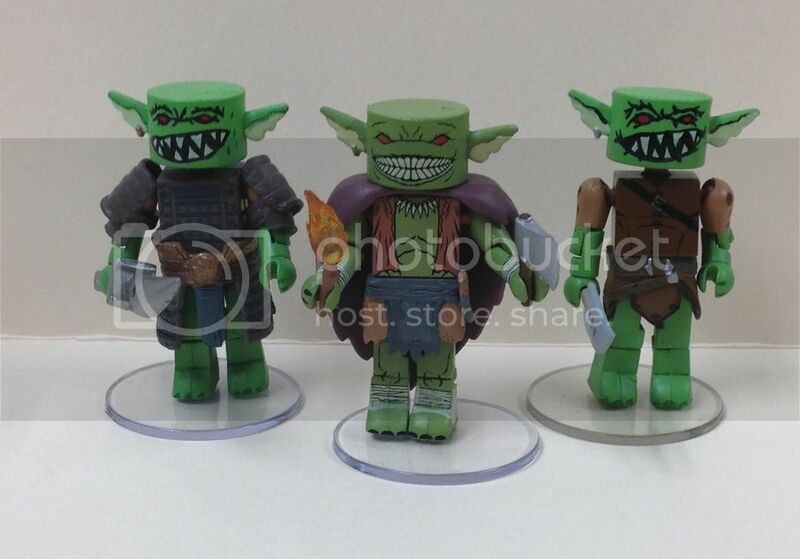 This is the Konkrud Goblin and the two Konkrud Goblins I have modified. 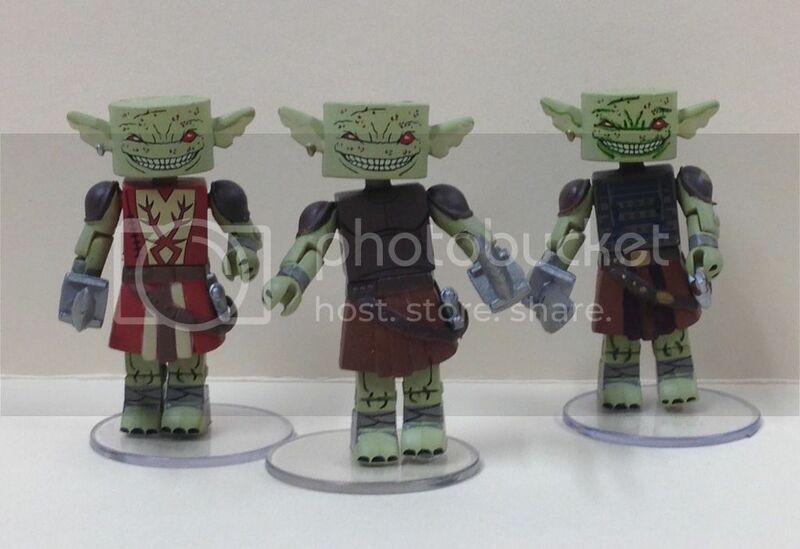 This is the Dogslicer Goblin and the two Dogslicer Goblins I have modified. 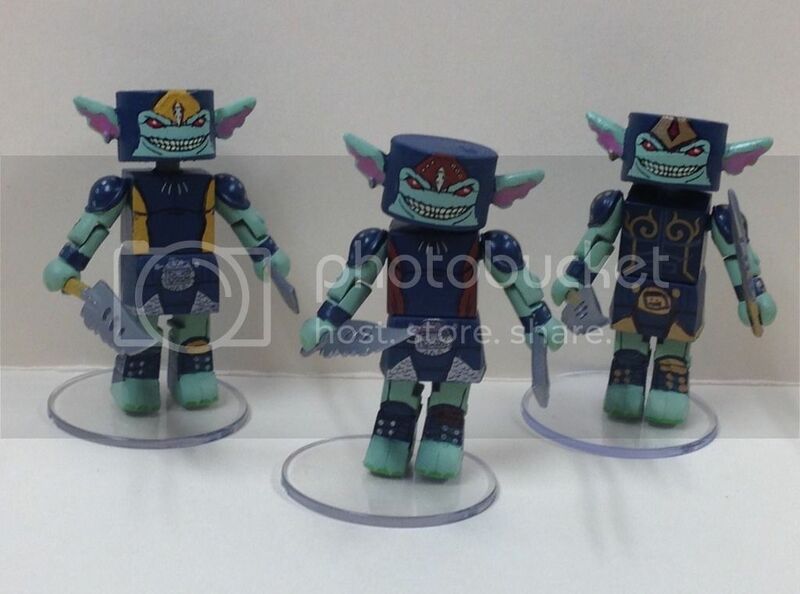 I will be getting the promo Goblins some day next week and I will see what I can do to modify one or two of them as well. I am not aware of exactly what the role of the characters from Pathfinder really are, but I am liking the Goblins and can't wait to display them all at Halloween with my Universal Monsters. 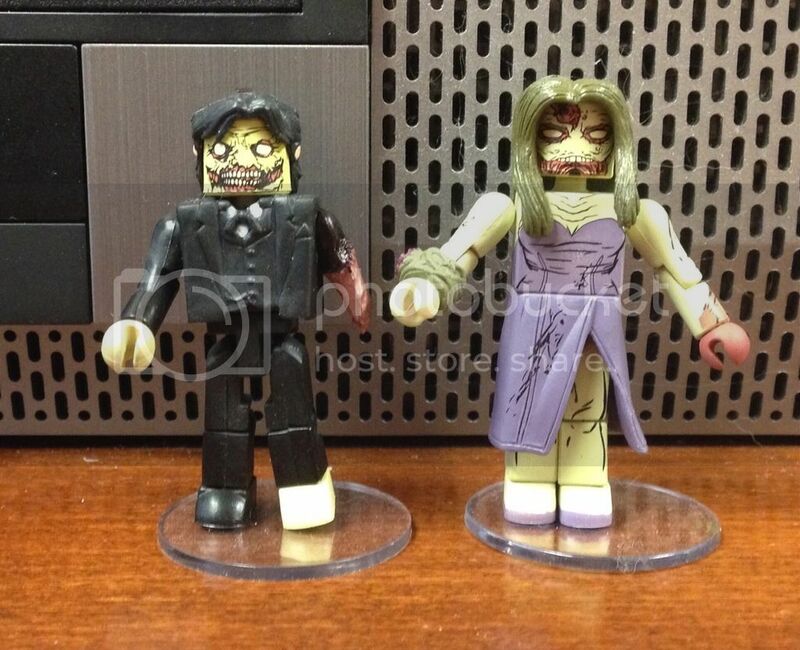 I finally got a picture of my Prom Zombie and the date I made for her. My take on Captain America as a werewolf. Man, everyone's making a Capwolf nowadays. 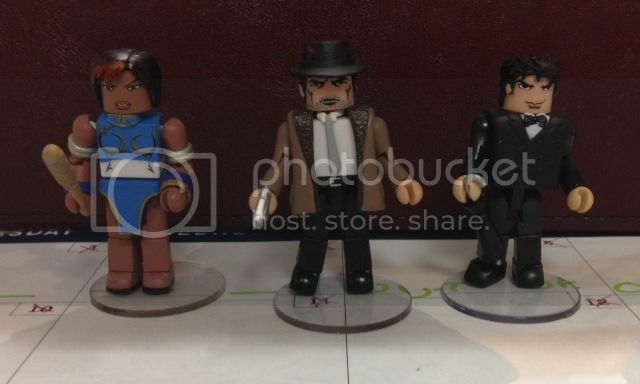 Cool spin on it, I was thinking of doing something similar, but with the WBN fig (kinda like the one in the MOD thread). 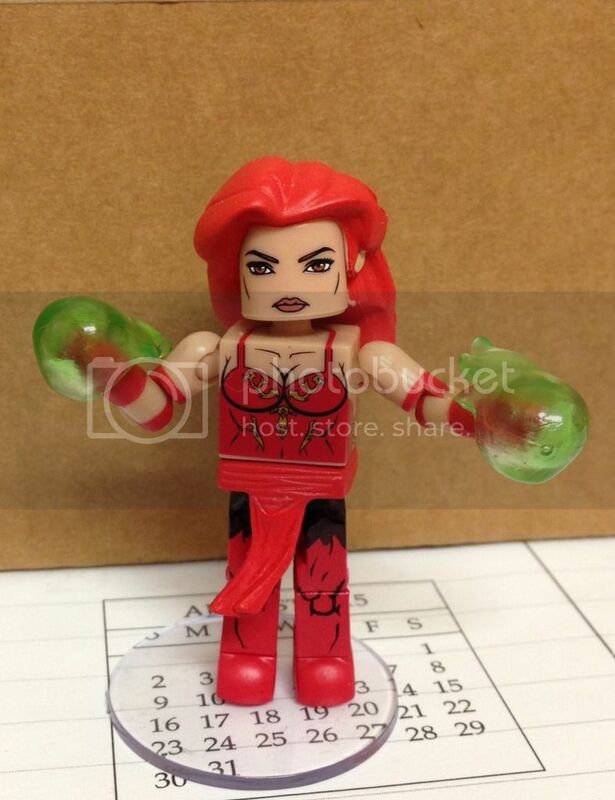 That Wanda is great as well, especially considering it's essentially part swapping. 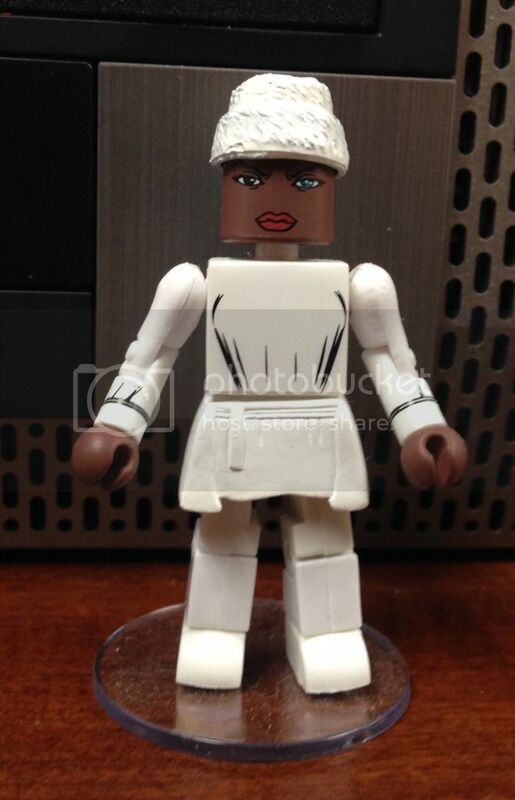 Fish Mooney from the Doll Maker's Island, complete with one blue eye. And then here is my take on Barbara and Jerome from this second season.